Diabetes mellitus consist of a group of disorders caused by increased levels of glucose in the blood. Glucose is a known source of energy necessary for performing daily activities. The levels of glucose in a healthy individual are regulated by insulin, which is a pancreatic hormone. Individuals suffering from diabetes on the other hand have insufficient amounts of insulin in their body; or none at all. 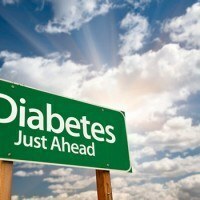 Any of these may occur in various types of diabetes. It can result in increased levels of blood sugar or hyperglycemia. Before asking the question “What are the signs of diabetes?” it is important to understand there are different types of diabetes. There are three different types of diabetes, depending on its cause – gestational, type 1 and type 2 diabetes. Diabetes type 1 is normally diagnosed during adolescence or early childhood. This is also known as juvenile or insulin-dependent diabetes mellitus. Type 1 diabetes is due to the absence of insulin production in the body, but in adults this type of diabetes is due to the destruction of the pancreas as a result of alcohol abuse or other health conditions. It can also be due to the progressive failure of the pancreatic beta cells that are responsible for the production of insulin. The most common type is type 2 diabetes. Generally, this is diagnosed during adulthood and is referred to as non-insulin-dependent or adult-onset diabetes. With type 2 diabetes, the insulin is secreted from the pancreas but the body becomes incapable of using it. Type 2 diabetes is usually caused by lack of physical activities, poor dietary habits and genetic factors. Gestational diabetes, on the other hand, is normally diagnosed during pregnancy and is considered a temporary type of diabetes. 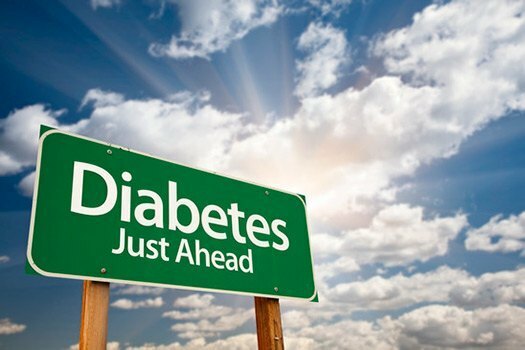 Take note that if diabetes is left untreated, this could result to various complications, such as renal failure, blindness due to retinal damage, and damage to the blood vessels and nerves. The condition can also heighten the risk of developing atherosclerosis that could lead to stroke and heart attack, peripheral vascular disease and high blood pressure. There are certain symptoms or signs of diabetes that should be known in order to obtain immediate treatment for it. Some of the most prevalent signs of diabetes include increased thirst and hunger, dry mouth, urinary infections or frequent urination, fatigue, unexplained weight loss, headache, blurred vision and a general feeling of tiredness. 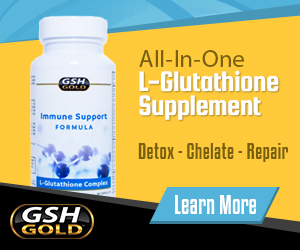 A diabetic individual has increased levels of glucose in their urine and blood. Because of this, urination becomes frequent, leading to dehydration and resulting in increased thirst. Due to insulin resistance, glucose cannot get into the cells through the blood stream. Because glucose is necessary for the production of energy, the affected individual becomes exhausted easily and this may result in increased hunger. In spite of this, the patient still goes through unexplained weight loss. Due to insufficient cellular energy, the body begins to breakdown muscular tissue and protein, resulting in weight loss. Decreased energy levels also result in constant fatigue, and the affected individual may feel sleepy after having a meal. Frequent urinary or skin infections are major signs of diabetes as well. A diabetic individual becomes susceptible to fungal or bacterial infections and the skin becomes itchy and dry. Wounds or cuts may take awhile to heal completely as well. High amount of blood glucose can also cause damage to the nervous system and due to neuropathy, the diabetic individual may experience tingling or numbness in the legs, hands or feet. Diabetes conditions can also increase the risk of developing gum infections, where the gums become tender, swollen and red. The warning signs or symptoms of type 1 diabetes include increased thirst, fatigue, nausea and vomiting, frequent urination and weight loss. The affected individual may feel tired easily and in spite of frequent hunger pangs, unexplained weight loss is still experienced. A dramatic onset of type 1 diabetes signs can also be experienced. Symptoms of type 2 diabetes surface gradually and have almost the same symptoms as type 1 diabetes. Among the most common signs or symptoms of type 2 diabetes include frequent yeast infections, slow-healing sores, cuts or wounds, recurrent bacterial and fungal infections, unexplained or sudden weight loss, itching of the skin that surrounds the groin or vaginal area, presence of dark skin rashes on the neck, groin and armpits, numbness or tingling of the hands and feet, and in males, impotencey can also be experienced. As mentioned before, retinal damage may occur, resulting in blurred vision or blindness. Complications may also occur, such as fast breathing, confusion, diabetic coma and abdominal pain. Diabetic coma or hyperglycemic nonketotic syndrome is considered a serious complication for this type of diabetes. The levels of blood glucose are excessively high and loss of consciousness and severe dehydration can be experienced. The affected individual may also experience restlessness, headache, inability to speak, drowsiness and paralysis.